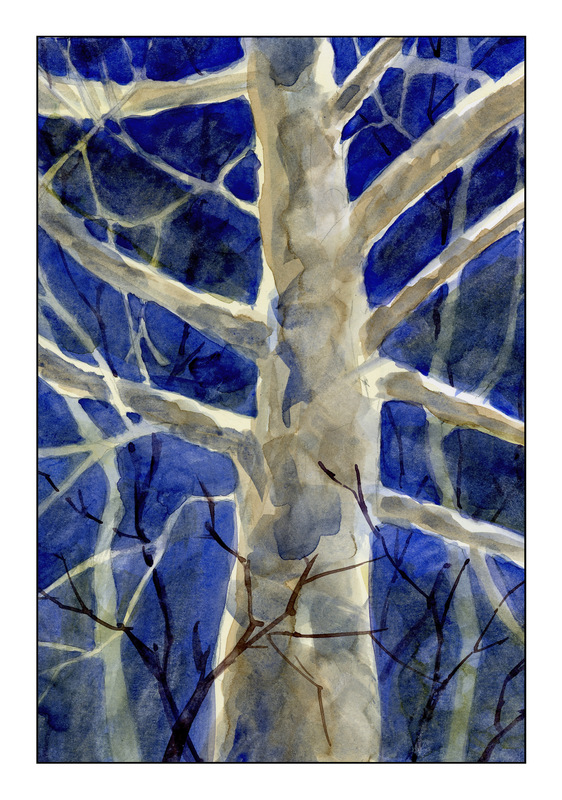 My original “Moonlit Sycamore” is below. I like it a lot – except for the squiggly black lines I put into it. They ruined the painting for me. So, a second attempt, this time on 12×15 paper rather than 9×12. No squiggles in front of the main trunk. Instead, this new version is much darker, and the squiggly lines don’t exist, but dark lines, to suggest other trees and branches, exist, but not across the main trunk. Here is the new version below. The scan doesn’t really do it justice – the burnt sienna is a bit less intense in the original. Both painting were designed to work on negative painting. This is not easy and I expect it takes a lot of practice to do it well. 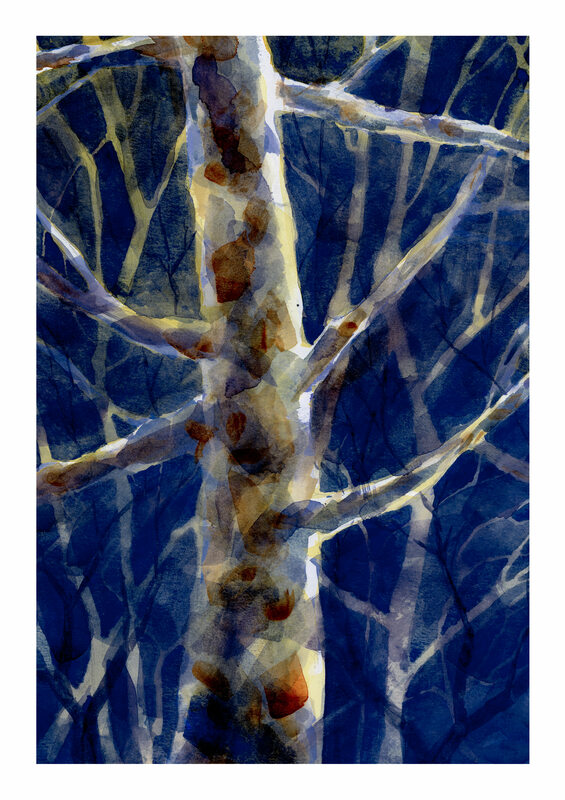 Years ago, I did take a workshop and saw negative painting and masking fluid for the first time. It was quite impressive and looked deceptively easy. I am finding it is not – but it will improve with time! Funny how a scan makes you see a painting so differently . . . flaws are more apparent, as are areas of success. Both versions are beautiful. I do love the layering of color on the trunk of #2. Thanks, Sharon. I like the trunk in #2 a lot, too, but like the clean lines of the first (without the twigs) as well. #2 may be a bit more dimensional, with it being darker on the left than the right.